Falls are a big problem. Falls in healthcare settings are a serious problem in Utah and around the country. 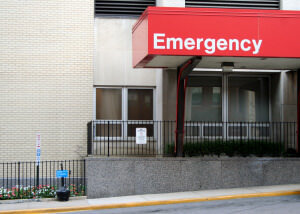 Studies suggest that an estimated 2% to 10% of hospital inpatients fall during a hospital stay. According to the U.S. CDC, falls are the leading cause of death from unintentional injuries among U.S. adults 65 or older. The direct medical costs to treat individuals 65 and older injured in falls is estimated at over $19 billion dollars annually in the U.S. The most common serious injury sustained from falls is a hip fracture. Of course, other serious injuries such as excessive bleeding, other fractures, and death also occur due to falls in hospitals, nursing homes, long-term care facilities, physical therapy offices, and other health care settings. As a Utah medical malpractice attorney, I have successfully represented individuals in claims against health care providers, hospitals, and nursing homes for injuries sustained in falls. I have found there are many things that can be done by hospitals and other health care professionals to reduce the risk of falls. Nursing homes, hospitals, and many other providers have a duty to develop and maintain fall prevention policies, procedures and tools. Patients should be assessed and reassessed for fall risk. Environmental inspections can be done to identify and eliminate risks for falls. In addition, staff should be educated about fall prevention and risk and how to respond and report falls. Failure to take appropriate steps to prevent falls or to properly treat patients when they occur may be medical malpractice. Medical malpractice is a type of professional negligence where health care providers fail to follow the standards in their industry. Of course not all falls in a hospital or doctor’s office are the fault of the health care professional. However, if proper precautions are not taken, liability for falls may exist. A mentally compromised elderly man fell from a window at a nursing home resulting in his death. The nursing home failed to properly supervise the individual and secure his environment. A man suffered a hip fracture getting down from an examination table after a procedure. He was medicated and unstable, yet staff failed to assist him as required. A woman was seriously injured during physical therapy. She was given an inappropriately difficult exercise on an improper machine, improperly monitored, and improperly assisted. Each of these lawsuits resulted in significant settlements for the injured party. If you or a loved one have been injured in a fall at a Utah hospital, nursing home, or other medical facility, you need a Utah lawyer with experience in these types of claims. Please call attorney Jared Faerber at The Faerber Law Firm, PC for a free consultation.